Parking: Shopping center, so yup! 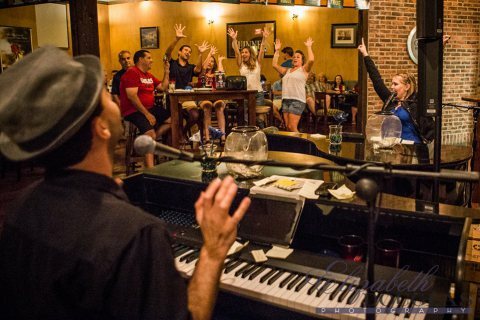 See the show every Friday night beginning around 9pm. It's a traditional dueling show with two baby grands and all of the bits and call downs you would expect. There are no drums, and the performers are always total pros. Shout outs to Amy (phenomenal voice) and Randy (funny guy), two of the regular duelers at the Pub. 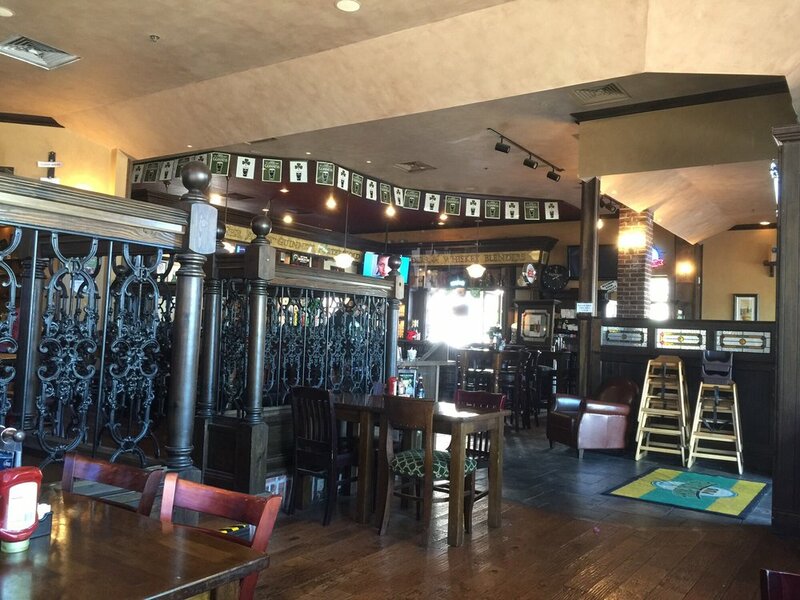 With the exception of the stone walls and the sponge adobe-colored ceiling (very South West), the abundance of wrought iron and dark woods gives this place a very traditional Irish pub feel. 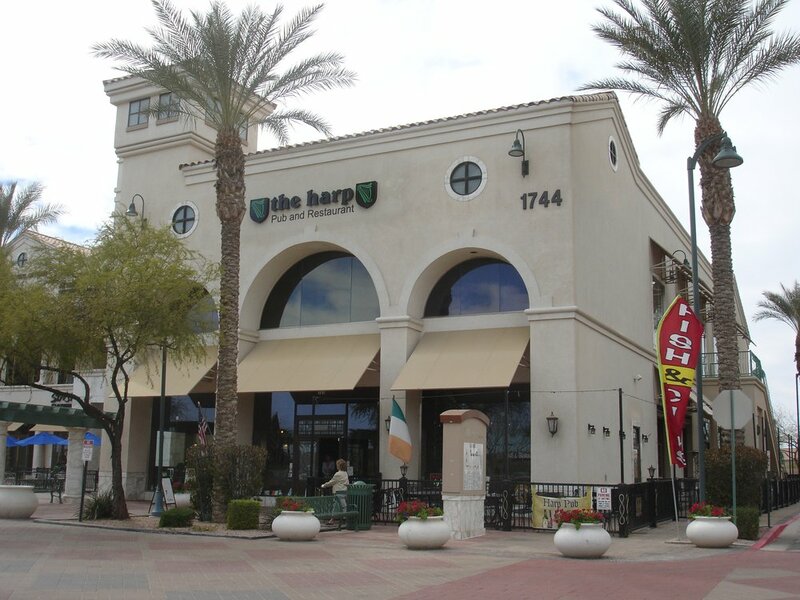 There is a full pub menu including Shepard's Pie, Roasted Corn Beef and other Irish favorites. They are best known for their Fish 'n Chips.